I am thrilled to be working alongside my brother on this new project, my first ever blog experience. Let’s just say I’m happy Mario will be dealing with the more technical aspects of this endeavour. I’d like to start off by saying that I became an avid Harry Potter fan thanks to my brother. I vividly remember that Christmas on which he received the books. The next day, he basically recited the entire first book from memory. I might add that it was the most detailed recitation I’d ever heard. I therefore didn’t even have to read the first book for a couple years, seeing as I had been told the entire story! All kidding aside, I only started reading the series after seeing the first movie. That was a very memorable event. It came out on November 16, which was a Friday. Seeing as there was no movie theatre in our small town, my siblings and I were not very hopeful of seeing the movie on opening night. That night, as most weekends, we went to visit my grandma in a slightly bigger town, which happened to have a theatre of it’s one. The game was on; it was four kids against one adult. My mother didn’t know what hit her; we managed to sneak a spot in the never ending line at the theatre (with the help of a few friends) and managed to convince her to let us see the movie. Since she was outnumbered by crazy fans, she gave in. During our wait in line, my mother received a call from our father (also a fan of the series), who worked in a city a couple hours away from the town we were in, telling her he had managed to get tickets for the entire family for the 10 p.m. viewing. Well, we were just ecstatic! We quickly ditched our spots in line to head to a bigger and better theatre for the full experience. Let’s just say the 2-hour drive was not going by fast enough. We were so excited and did not shut up during the entire trip. We made it in a nick of time, the previews were already playing. We all sneaked into the theatre and found the seats my dad had saved for us while my mother went to the washroom. That trip to the washroom seemed to have lasted a while seeing as my mother only joined us half way through the movie. It turns out she had entered the wrong theatre. When that viewing ended, and she didn’t find us at the exit, that she realized her mistake. She ended up watching the same half of the movie twice that night! I’ll never let her live that one down. After having seen the movie, and having sat next to Mario, who answered all of my questions throughout, I was hooked! It was now time to read the books. By that time, I had four to read in a row and did not have much longer to wait for the fifth book to come out. The wait was more brutal between the sixth and seventh book releases. It quickly became tradition in our household to reread the entire series before each new release. Since we had the collection in both French and English, it was easier to share the books among the family. Once I had read the seventh book, it kind of ended there. All I did was wait for the movies to relive the stories. I think my fandom decreased as there was no new addition of books or movies to see, or the wait became increasingly long between them. After a while I kind of forgot about it, although I’d never miss a rerun of one of the movies on TV. When I first heard of Pottermore, it rekindled the Harry Potter flame. I got all excited and giddy, the way I used to be about anything Harry Potter related. Pottermore is an official Harry Potter site, created by J.K. Rowling. It is basically like reading a virtual version of the books with interactive features. Each chapter is divided by images and within these images you discover characters, locations, spells and other tidbits. You also collect books, galleons, chocolate frogs, potion ingredients and Bertie Bott’s Every Flavor Beans. You get sorted into a House and collect house points by successfully making potions or by winning duels. You also get to go shopping in Diagon Alley with the Galleons you collect. This is all good fun, but by far the best thing about Pottermore is discovering extra information written by J.K. Rowling about everything and anything! You get more context and background on various elements of the series. Lucky for me, I was not working at the time of the Website release in April 2012 and was able to dive right in to this new experience. II felt like I used to when reading the books. It was great to feel that feeling again, which I thought was gone. The magic was still alive and well inside me. A true Harry Potter fan never dies! I quickly worked through the chapters of book one, only to realize that book two was not yet available. 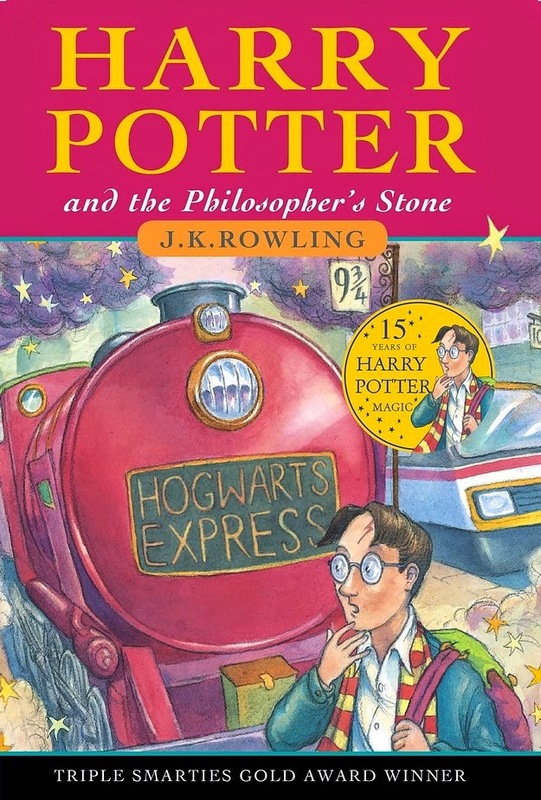 So far, the site only has from the first chapter of Philosopher’s Stone to that end chapter of Prisoner of Azkaban available. So our Pottermore experience will depend on the duration of our project. I was sorted in Slytherin, no surprise there. Every single time I got sorted, through various sites and games, I have always ended up in Slytherin and my user name is KeyPotion9510 (in case anybody wants to add me as a friend on the site). I guess I’ve embraced it now. I can’t wait to see in which House Mario will end up! When Mario first presented me with the project, I have to admit I was feeling a little overwhelmed at the prospect and scope of it all. Since then, I have gotten back into it and I’m loving every minute of it! I can’t seem to put the books down, even though I know what happens next. I guess that’s part of the enchantment of the series. Well, there was my very first blog post! I look forward to working with my brother on this project and hope you enjoy reading our thoughts on this cult series!